It's a great garment to throw over any outfit and there are several ways to style a drape cardigan, depends on your personal style and your mood. Description: Every wardrobe needs a cool-girl yet comfortable staple like this cardigan that takes on blazer collars! Match it to everything from tapered pants to tailored shorts, and keep yourself warm from the chilling air-conditioning at work, college or cinemas! Fold sleeves up three-quarter length for a casual look. Featuring long sleeves with an inward cut sleeve hem. What I really like about it is the blazer collar and button-free front - much sexier compared to button-down cardigans! Cardigan is one of the most versatile pieces of clothing a woman can own. However, living in a country where the climate is mostly hot and humid all year round, a cardigan is hardly necessary, unless I go to the cinema, malls, etc. Nearly every woman has some form of dissatisfaction with her body and weight is the overwhelming concern for many. I am not painfully skinny, nor am I extremely fat, but frankly, my body composition is flabby rather than toned. I wish I could have toned arms and thighs! Before you judge me and tell me I've a negative self-image, here is a picture of me in a bikini! Well, if I've a negative self-image, I'd avoid going out to the beach where swimsuits are usually worn and I'd act in a way to reinforce this image by going on a strict diet or exercising like a mad woman. People who have extremely good-looking bodies are people who eat right and consistently exercise! I don't workout at all, I can't resist stimulating and fattening foods, and therefore I accept my flaws even though there have been times when I wish I was a little skinner. So what are the reasons I don't put on weight easily (it's actually a miracle I weight 48-49 kg) and you may be packing on the pounds (and might continue to be)! There are many possible answers to these questions, but few certainties. Sleep deprivation interferes with the hormones leptin and ghrelin that regulate appetite. That means you'll feel hungrier and are more likely to indulge in poorer eating behaviors, which could damage your waistline. Studies have shown that people who get more than seven hours of sleep a night are less likely to put on weight than those who do not, so make sure that you're getting your recommended amount of shuteye. Stress takes an enormous toll on your health and research shows it can increase belly fat and slow down weight loss. When you're stressed out, your body produces cortisol, which is the fight-or-flight hormone that increases fat storage. Take a step back, evaluate your stress level, and adjust your lifestyle accordingly. What activities do you enjoy? It doesn't have to be something particularly energetic, just something you enjoy, its better than being parked in front of the TV, or your computer all evening, right? Oh and window-shopping in the mall is not only enjoyable, but will burn calories too! You see, a lot of people say they want to lose weigh, but very few people truly want it BAD! Most people, say, “I should” this, “I should” that, but never make it a MUST! They never make it a priority. Thus, it was just words... no action. Without action, there will be no results. Many of the ‘why am I fat’ people go on waves of guilt. If you miss meals, food tends to get stored up, therefore metabolism slows down, which is the total opposite of what you want to happen. Crash or fad diets are not only stupid and dangerous! Why go to bed hungry when there is a delicious way to “tickle your system” into burning fat while you sleep the night away? Despite all of these, for some reasons, you're just not losing the weight you were hoping for, so what gives? There's hope! Begin to move forward with proper expectations, proper motivations, and proper methods – Bodytrim shows you how to lose weight fast and permanently, while enjoying all the foods you have always loved. 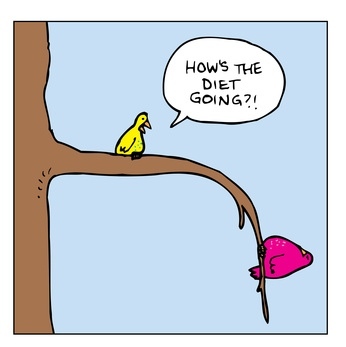 With Bodytrim, you will eat more and weigh less, making this the perfect diet plan for people who love to eat! How does Bodytrim differ from other weight loss programs? Bodytrim is an education system that was designed to teach people about the 3 W's of weight loss tips, to work around your life and focuses on food rather than exercise enabling you to achieve your goals, quickly, effectively and for the long term. Though it sounded too good to be true, I found that it's not at all. The Bodytrim system has already helped over 300,000 people transform their bodies and lives. They've personally received thousands of testimonials from everyday people who have lost over 30, 40, 50 and even 70kg in only a few months. In fact, scientific studies reveal that the Bodytrim system on average has helped people lose over 6kg in the first 7 days alone! Last, but not least BE PATIENT and of course, NEVER GIVE UP! The road to rip takes EFFORT and DEDICATION, good luck! Ralph has always been a fan of Gary Moore and always will be. To him Gary Moore was one of the greatest guitarists that ever lived on this planet! Fooled around with the guitar and played The Loner. Well, one of the things that he loves to do in his free time is jamming on an Ibanez Artist with recorded backing tracks although I'm the only screaming fan. I'd say The Loner is my favorite all time track by Gary Moore. It's a guitar instrumental piece, flows with emotion and it truly feels like the saga of someone who's alone in the world... Listen to how the renowned Irish rock guitarist made the guitar cry! 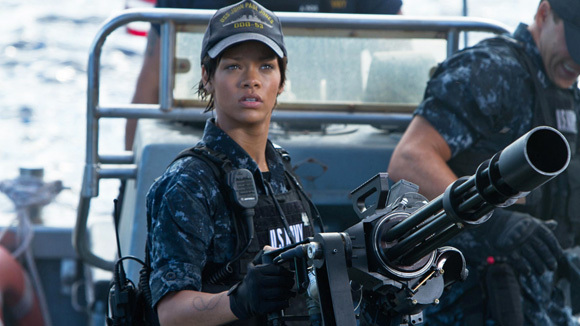 Pop star Rihanna plays a naval gunner; in the movie, she has no make up, short brown hair and she's still hot! 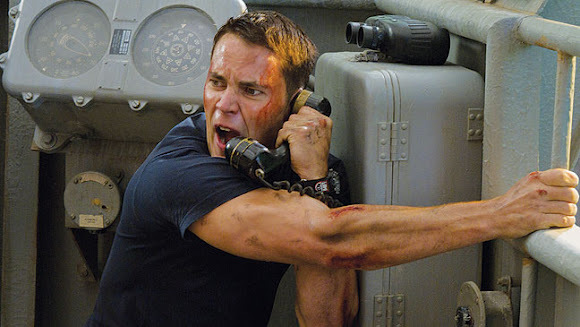 Battleship is not like any other Alien film though. 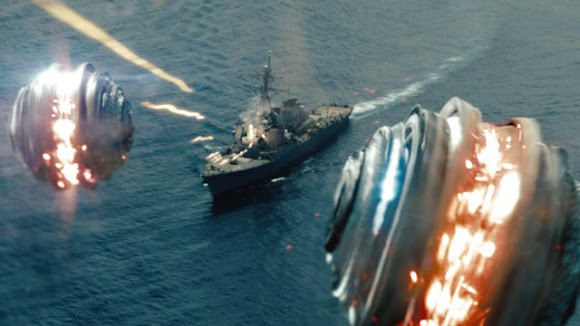 The silly-looking aliens here are selective attackers who have no intention of killing humans. They only destroy lifeless commodities like roads, bridges, vehicles, etc for some mysterious reason. 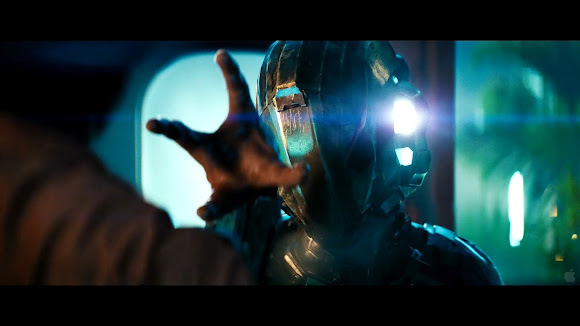 Speaking of aliens, do you believe that aliens or another life form exists beyond our solar system? This song, by American pop punk band Blink-182 is upbeat energetic, catchy with funny lyrics and... yes, I believe aliens do exist (sometimes I feel like one), we are definitely NOT alone! I would assume that if you were a fan of pop music, you would enjoy most of the songs on pop queen Katy Perry's album - Teenage Dream. I personally love 'The One That Got Away'. You've probably heard this song a billion times on the radio, and it was so overplayed even deaf people have heard it! Well, this song is just as catchy as it's meaningful, and I bet many people could relate. It's a great song for those who got a loved one who, as the song implies, got away. However, it's also a great song to dedicate to an ex who screwed you in a relationship, and now rubbing it in their face, that you (the best ever) got away!